As the economic crisis deepens prices on nearly all products rise sharply in Belarus with one remarkable exception - alcohol. These days a bottle of vodka in Belarusian restaurants often costs less than a packet of orange juice - US$3. As the economic crisis deepens prices on nearly all products rise sharply in Belarus with one remarkable exception – alcohol. These days a bottle of vodka in Belarusian restaurants often costs less than a packet of orange juice – US$3. In a supermarket half a liter of a cheap alcoholic drink with around 30% alcohol content costs around US$0.65. Yesterday the government increased taxes on alcohol and tobacco, but the state policy of providing affordable alcohol and tobacco remains unchanged. This policy arises from Alyaksandr Lukashenka's own understanding of what Belarusians need. At a June press conference he explained: "People would not survive without vodka, bread and cigarettes and we help them". The Belarusian Ministry of Economics ensures that alcohol and cigarettes remain cheap by imposing price caps, which sellers cannot exceed. This policy sharply contrasts with that of other northern European countries, which have the world's highest alcohol taxes. The affordable alcohol policy comes at a very dear price to Belarus. In August the Belarusian government increased quotas on the production of spirits by around 15 percent. Although alcoholic drinks in Belarus are inexpensive, producing them is even cheaper. Nearly all alcohol production is in the state's hands, which makes it a good source of revenue. Moreover, a significant number of alcoholic drinks produced go to Russia in exchange for much needed hard currency. This year a monthly salary of merely US$200 has become normal for many Belarusians. This is the result of a nearly 300% devaluation of the national currency. Although US$200 dollars does not sound like a serious sum, one can afford 230 bottles of cheap alcohol for this money. And alcohol sales have significantly increased. The numbers released by the Belarus National Statistics Committee last month suggest that the sales of vodka and other liqueurs increased by more than a third in the first half of 2011. The General Prosecutor's office reported that every fourth crime in Belarus is committed by intoxicated offenders. They also registered a 10% increase of alcohol abusers. This is a serious blow to the health of Belarusians who are already distressed by the economic crises. A report released this year by Hrodna State Medical University suggests that at least 30% of deaths of working age adults in Belarus are now related to alcohol. The real figure is even higher because the Hrodna study did not include deaths resulting from cardiovascular diseases related to alcohol abuse or alcohol-related accidents and crimes. The report points out that only Russia has comparable figures in Europe. It should be noted that this year Russia registered a drop in per capita consumption of alcohol while consumption of alcohol in Belarus is growing. 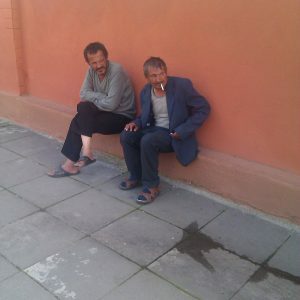 The Belarusian state supplies abundant cheap alcoholic drinks, a significant part of which is of very poor quality. The cheapest and the most popular drink among Belarusian alcoholics is called charlik: a mixture of a poor quality apple juice, cheap alcohol and colouring agents which costs less than a dollar per bottle. Not only is the drink very addictive, but it also contributes significantly to the onset of liver disease. Although the authorities like to demonstrate that they are taking measures to tackle the growing alcohol epidemic, their approach lacks consistency. For instance, they have limited drinking in public places and reduced the permitted alcohol level in blood of drivers. But these measures do little to alleviate the problem. As long as alcohol is ridiculously cheap and salaries are so low, alcohol will remain the most affordable pleasure for many Belarusians. Ironically, Alyaksandr Lukashenka, the main proponent of cheap alcohol and tobacco, has a reputation as a non-smoker who rarely drinks. Apparently the current Belarusian regime views alcohol as a source of stable revenue, which also helps people forget about political problems and the dire economic situation. Belarus has returned to the spotlight of Western press coverage after brief periods of interest which followed the December 19th crackdown, subsequent international sanctions, and April metro bombing. The new reports focus on the IMF loan request and business relations between the West and Lukashenka’s government. An occasional mention of rights abuses appear in a few concerned publications, with the Belarus Free Theatre leading the way in raising awareness amongst the Western public. Western banks with dirty hands? The big Belarus story to the make UK headlines has been the decision by a group of European banks to finally cease raising Belarusian government bonds. 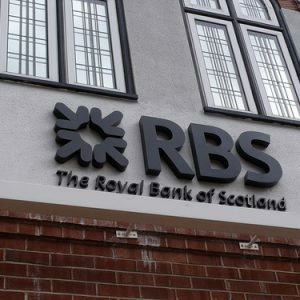 More than $800m in government bonds were issued by UK bank The Royal Bank of Scotland only a month after the December election crackdown. The Independent continues to devote more attention than any other major Western paper to Belarus. They led with this story early this week and were highly critical of such prolonged unethical investment by a state-owned bank. They argue that the decision to stop selling the bonds was only taken following considerable pressure from the campaign groups Index on Censorship and Free Belarus Now. Evaluations of Belarus in the context of 20 years since the 1991 putsch appeared in a few sources. The Financial Times talked to US think tanks who point to Belarus as an example of those ex-USSR states where one leader has pushed out everyone else. Fox News categorizes Belarus as one of the three most authoritarian regimes in the former Soviet Union, and suggests a change to Lukashenka’s rule looks extremely unlikely any time soon. The Belarusian request for an IMF bailout which began to be considered on 29 August has gained some media attention. The UK’s Independent reports that Belarus has introduced almonst none of the conditions necessary for a loan which were laid out earlier in the month. It describes two schools of thoughts within the IMF: one that considers a loan without reform will only strengthen Lukashenka’s oppressive regime, the other that sees a loan as necessary to prevent Moscow from gaining even more influence over Belarus. US-Belarus tensions rise. Belarus’ decision to freeze their pact with America to give up enriched uranium has hit US headlines. The decision, which has been explained as a response to the most recent wave of US economic sanctions, has been described by the US State Department as “disappointing.” American experts have said they do not consider it likely the stockpile will fall into the wrong hands. Good news for the free press? Radio Free Europe reports on changes in media consumption habits of Belarusians. Trust in state media has fallen sharply over recent months according to one source, due to the increasing disparity between the hopeful reports on the economic situation given in state papers and the daily hardships endured by ordinary people in buying basic goods. The article is optimistic that the market for independent news is expanding beyond the traditional intelligentsia, especially online, as people crave realistic accounts of the current economic situation. Economic hardship and reform. The deteriorating economic situation for ordinary people continues to draw attention. Radio Free Europe describes ‘Belarus on the Brink’: Tom Balmforth spoke with commentators in Belarus who predict the situation will only worsen in the autumn, with incomes likely to fall further and construction drying up entirely; this in turn may spark a revival of this summer’s protests. He suggests that structural reforms to the economy are more urgent than ever. Bloomberg reports on the increasing difficult of buying currency and meat products in Belarus, noting that Russians are taking advantage of the crisis, enjoying favourable black-market rates on their in-demand Russian roubles. Neighbours in the bad books. Jeremy Druker from Transitions Online has expressed his disgust at recent revelations that Lithuania and Poland passed information to the Belarusian authorities which aided them in arresting human rights activist Ales Bialatski. He reports that activists who had regarded Poland as a safe haven feel betrayed. Spreading the word. Belarus Free Theatre staged their production ‘Minsk 2011’ at the Edinburgh Arts Festival this month. The Guardian and The Telegraph offer very positive reviews of the play, which treats issues of repression and censorship in Belarus through the theme of sexuality. Both consider it an important reminder of the repressive regimes which exist beyond the UK and which deserve attention.